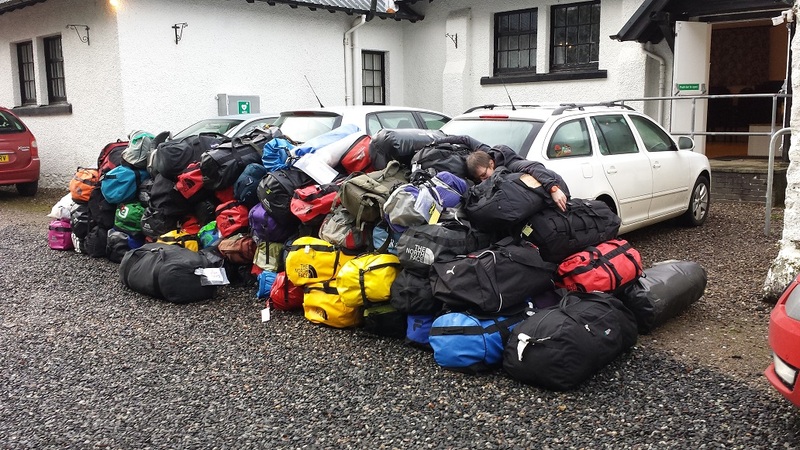 We hope you all had a wonderful weekend in and around Braemar, we certainly enjoyed hosting our fifth GMC with a fantastic group of competitors, please come back int two years’ time! Here are some provisional results. If you notice any discrepancies please get in touch (see Dave’s email in the joining instructions). Please put your routes up on the Gramp Routegadget site. (you can draw by mouse and download GPS). 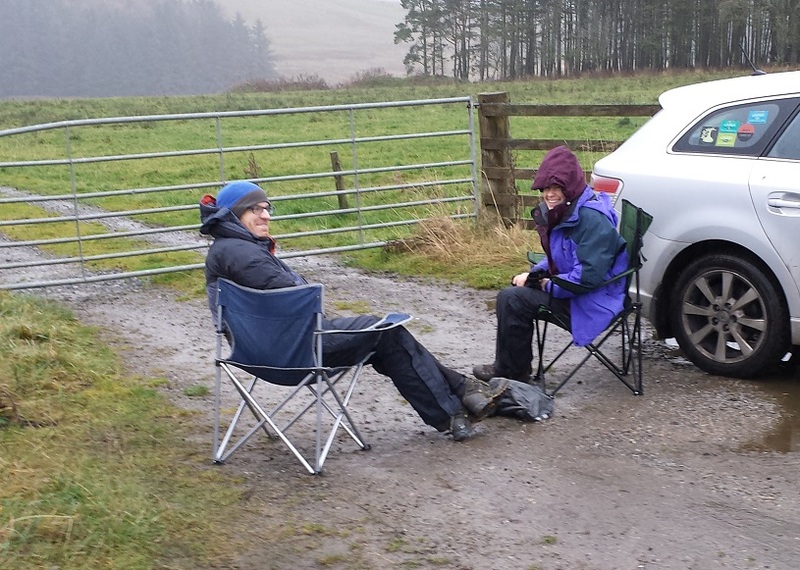 A big thank you to all who came to pit themselves against the Grampian terrain and each other. 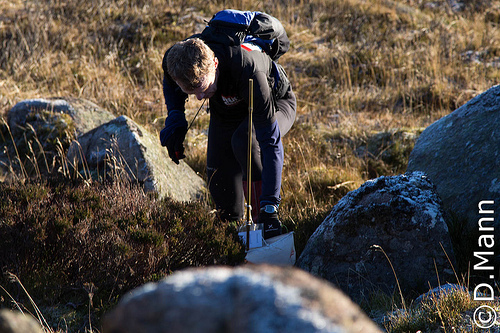 We were lucky with the weather in the end after the previous weekend’s foul conditions – sunshine and superb visibility on Saturday and a dry but frosty night at the overnight camp helped make it a day to remember for all the right reasons. Thanks to those who realised things weren’t going to plan and phoned to let us know they’d bailed or would be late back – another bit of luck as we don’t always get such good mobile reception – and to those who bowed out gracefully on Day 2 and helped to pack up the campsite or lent their Excel expertise – really helps us run the event smoothly. * corrected 14/11/16 – apologies for getting this wrong on the day (blame Rachel’s mental arithmetic for mis-estimation in our rush to present as many prizes as possible on the day before potential winners left to go home.) Bottle of wine en route to you somehow soon. The Factors & Owners of Candecraig, Dinnet & Kinord, and Tillypronie Estates. 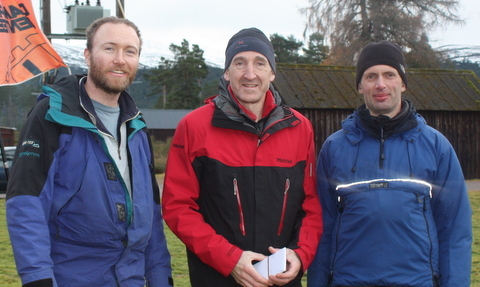 The Sporting Tenants on Dinnet & Kinord Estate. 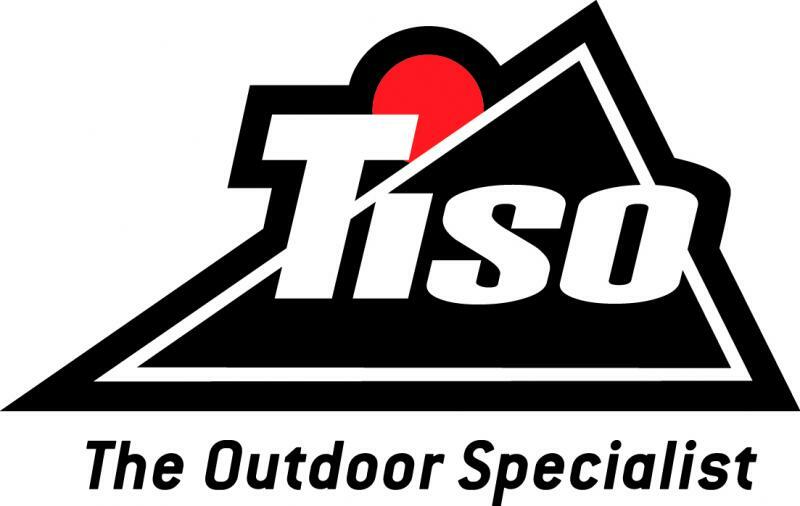 Tisos – for providing voucher prizes. Dave, Alan & Ross – The Catering Team. 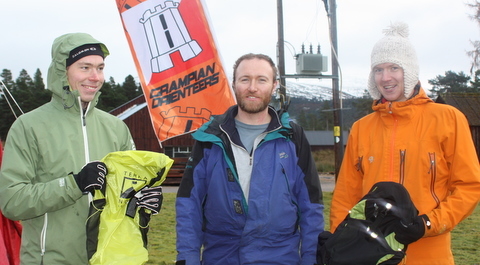 Mike, Donnie & Graham – The Heavy Kit Team and Hill Marshals. Brandon Hire & Heilan Loos. And personally, I’d also like to thank Ian S, Ian H, Rachel, Helen, Sam, Tim & Josie G, Iain B, Tim, Ali, Kate, Sean, and all the competitors who also became helpers at some point during the weekend. A final thanks to my wife Liz for putting up with my ‘project’ over the last 18 months, acting as event Base Contact, and managing to come up with a GMC Prize Cup (in chocolate). If anyone took any photos and is willing to share them then send the link to webmaster@grampoc.com please. Routegadget is now loaded – please enter your routes here! *The C course on Day 2 suffered a missing control, swept away by the torrents coming off the hillsides on Friday we think, and after much debate we decided to simply remove that control from the course rather than void the long legs on either side which accounted for about 2/3 of the course. 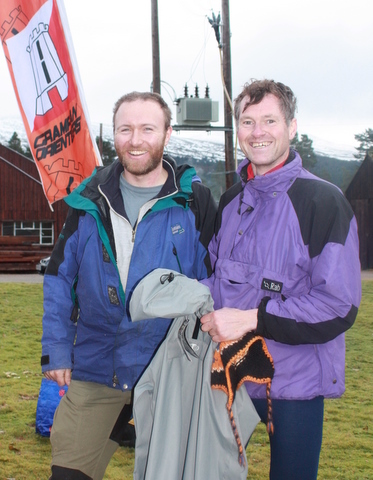 The Stansfields’ brikke gradually stopped working on Day 2 as well but they started and finished very close to their main rivals, the Galloways, so were awarded an overall time which both parties agreed. Our Facebook page has already attracted comments and photos. Feel free to add to that or leave a comment here. Doesn’t have to be enthusiastic thanks (although we do like that!) as we need to know if anything major is bugging you so we can factor that in next time. If you don’t do Facebook you can send photos or links to webmaster@grampoc.com instead. 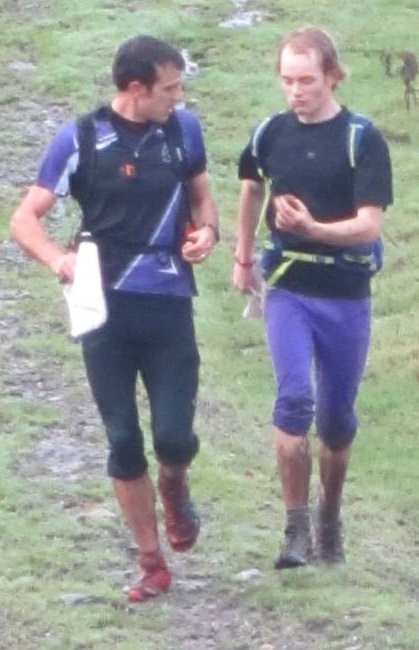 Left: Disaster strikes on the A Course as leading pair discover maggots in their hillfood. Photos from Ian Hamilton here. 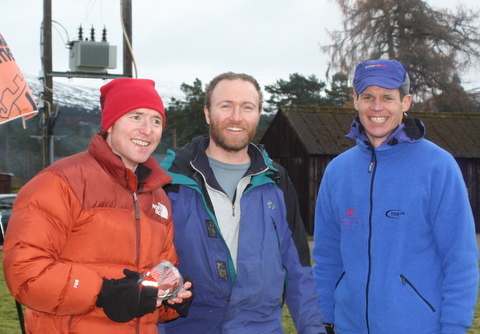 And all Dads and Lads teams got a prize by way of encouraging the younger element of the orienteering and fell running scenes to take part in this kind of event (and maybe something else!) Some winners had already gone – we’ll get them to you somehow. UPDATE 21/11/12 – Routegadget is now loaded up, separately for the Forest sections and the Hill sections of both days. 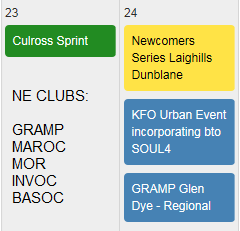 PLEASE would all competitors take the time to add their routes, as this will help the planners improve future events. You can also analyse the splits using Splitsbrowser and Splitalyzer. More photos from Ali Robertson who would also like to thank Maroc for the use of their controls. 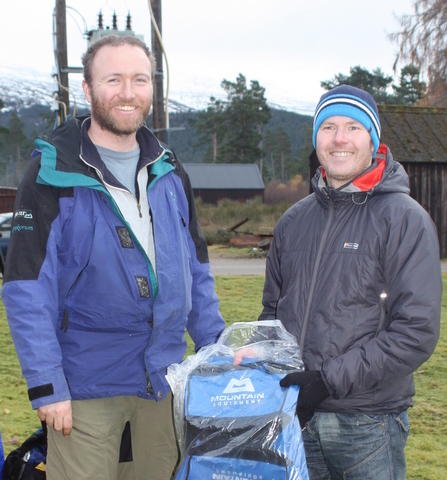 UPDATE 20/11/12 – couple of extra sponsor acknowledgements and a message from the organiser added at the end of this post. We were incredibly lucky with the weather again for the GMC with blue skies throughout and I’m told “Good event – lots of happy faces at the download” so I’m guessing everyone enjoyed it whether or not they managed to bag a prize (like a certain happy chappy pictured below). Big thank you to Sean for an ace bit of organising again (see his comments below), Ali for the planning and Ian for controlling and acting as official photographer again. We’ll give you a link to the rest of his photos just as soon as he’s had time to go through them all and if any of you took photos en route you’d like to share then email them or the link to flump@care4free.net please. 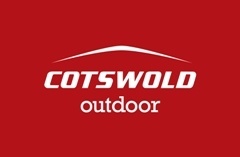 A big thank you to Haglöfs, Braemar Mountain Sports, Cotswold Outdoor and Tiso for donating prizes to help make the GMC that little bit more special. Well done to all the runners for coping with the short days, long heather and freezing nights. While there were a few scratched legs everyone enjoyed themselves and enjoyed the glorious east coast weather at its best. Thanks to everyone who knew their limits and either dropped out or sped up! Everyone finished within the course cut off time on Sunday. Thanks to all the marshals from Scouts, Gramp and Cosmic Hillbashers, and to Deeside and Gordon Scouts for the equipment and help setting up. Scout leaders again ran the catering and on their behalf we’re pleased to donate £120 to the Braemar Pipe and Chanter group to help fund new instruments for their young pipers. Thanks to Fasque Estates for permission to use their land and to all the companies who provided prizes. Watch this space for GMC-2014! !